Web search results for “Claire Cockerton” will have her bio featured on one of Europe’s largest technology accelerators, financial services conferences or a listing of women in fintech (to name a few) – providing a snapshot of what her LinkedIn profile confirms: Claire is a serial entrepreneur and an industry leader in global financial services. She is also the CEO and founding director of Innovate Finance, which seeks to be the voice of Britain’s finance industry, and the chairwoman and founder of Entiq, a creator of “Innovation Ecosystems” to accelerate business growth. 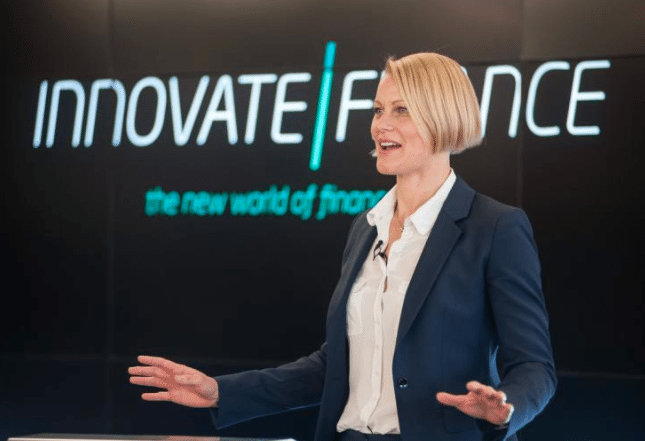 Innovate Finance, launched just in 2014, is a cross-sector, member-driven organization that wants to accelerate the UK’s leading position in global financial services. 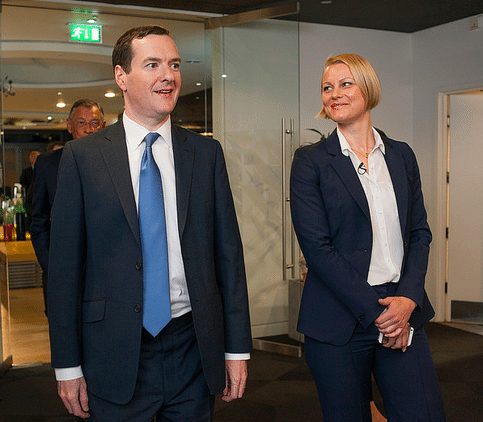 The young entity is a vital part of the UK’s desire to lead the world in developing FinTech – a pinnacle in Chancellor Osborne’s platform. The UK is the country which launched the first peer to peer lending platform and is widely recognized as leading the world in the investment crowdfunding space. Innovate Finance is uniquely poised to engage advocate for the entire UK FinTech community and Claire is at the center of it all. In London, Claire is also among the technology ambassadors in Mayor Boris Johnson’s London Tech Ambassadors Group, along with Gerard Grech, CEO of Tech City UK, and Kathryn Parsons, Co-CEO of Decoded, continuing to further the city’s standing as a hub for tech and innovation. Her past projects include advising Guardian Media Group on their ‘Digital First’ transformation strategy, as well as founding, furthering and selling a multi-million dollar sustainable architecture firm in her native Canada before crossing the pond to complete her MBA at Imperial College London. 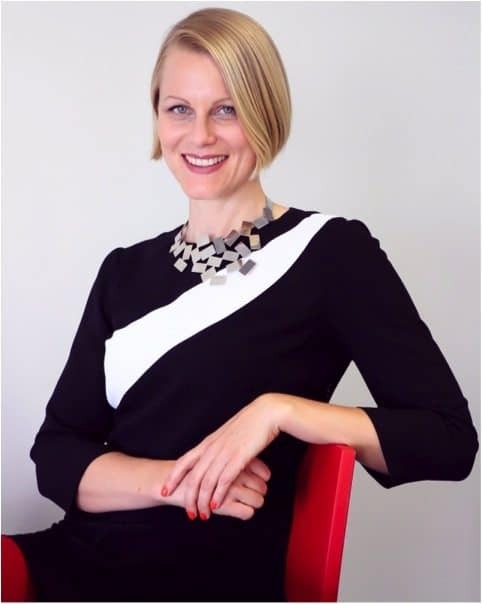 Recently, Crowdfund Insider caught up with Claire and she shared her thoughts on fintech, Innovate Finance and overcoming the gender gap in the investment management industry. 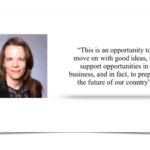 CI previously published an interview with Claire in October 2014, the same year that Innovate Finance launched. 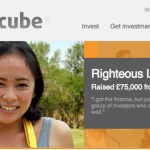 Midori Yoshimura: How did you get into the financial innovation space? 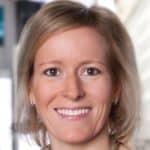 Claire Cockerton: My foray into financial innovation began after completing my MBA in London, where I specialised in Innovation, Entrepreneurship and Design, and wrote my thesis on accelerators, technology transfer institutions and business incubation. I then went to South Africa to help establish Richard Branson’s ‘Centre for Entrepreneurship’ in Johannesburg. I returned to the UK and co-led the launch of Level39, Europe’s largest technology accelerator for fintech and smart cities companies in Canary Wharf, and founded Entiq (formerly Pivotal Innovations), a firm specialising in corporate innovation and accelerator programmes in the FinTech sector. 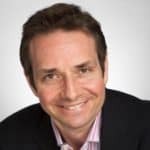 In 2013 the British government asked my business partner Eric Van der Kleij and I to document our experiences at Entiq and to map the opportunities and challenges the fast growing fintech sector offered the UK. Our research was followed by a series of roundtables with FinTech innovators (many of whom became our founding members), as well as other key industry stakeholders. They included firms such as Transferwise, Nutmeg, Ratesetter, Monitise and Barclays. The research revealed how FinTech had the power to grow the UK economy and promote social inclusion by transforming the traditional finance industry into a sector that could provide services not only to mainstream customers but also to the unbanked and underbanked. We needed to champion the entrepreneurs and firms disrupting the space and improving the status quo. Midori: How has Innovate Finance developed its mission of championing the UK as a global centre of sustainable ﬁnancial services and technology innovation? 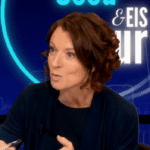 Claire: We developed our mission after Entiq conducted its research in the FinTech space. The entrepreneurs and financial services sector wanted to see change after the economic crisis of 2008, which left many consumers disillusioned about traditional banks. 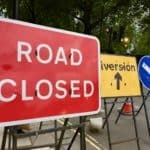 FinTech emerged from the ashes of this disaster to offer an alternative forms of financing – and over a short period of time there were many firms setting up in the UK to fill the void left by the crisis. 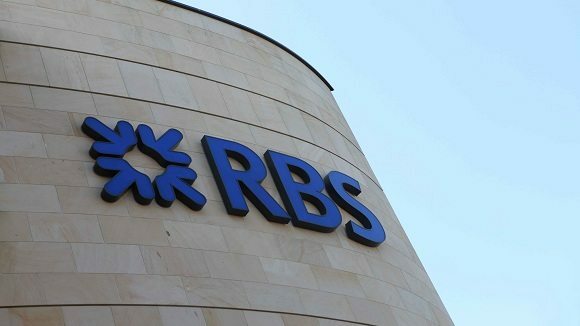 The entrepreneurs behind these firms- as well as the banks looking for ways to resuscitate their reputations and win back new customers- wanted an independent membership association to voice their concerns and to help them to foster the innovation and business conditions to grow the sector in the UK. Innovate Finance was born out of this demand for representation. We launched in 2014 with over 50 members and with the financial support of the City of London and Canary Wharf Group. 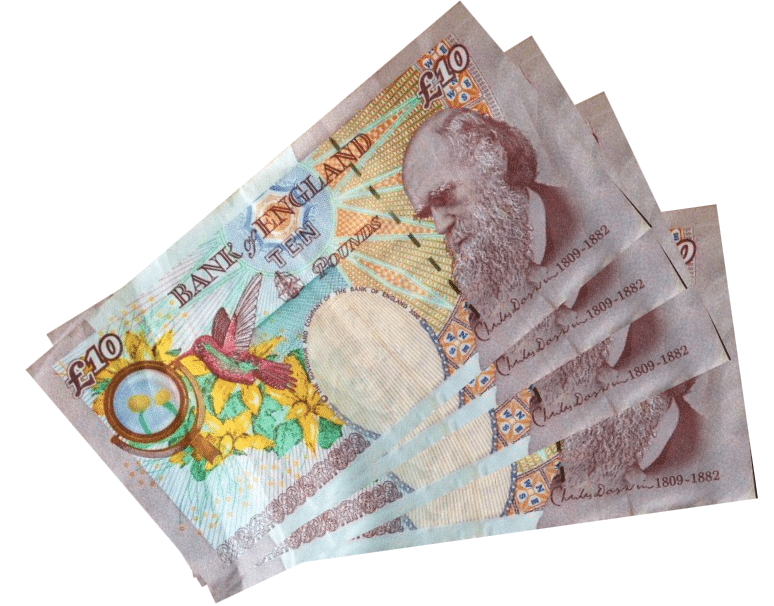 Midori: How has FinTech helped the UK move forward, following the economic crisis in the UK? Claire: FinTech innovations such as peer-to-peer lending, crowdfunding, virtual currencies and mobile payments are successfully reaching out to more consumers and giving them access to a whole range of new products and services that help them to borrow, manage, lend, save and give money. It’s helping to restore confidence in the sector and making traditional institutions realise the power of FinTech and how they too can adopt new innovations and services to make banking better for everyone. 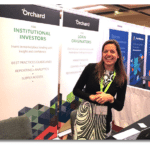 Midori: What are some of Innovate Finance’s highlights after launching in summer 2014? Claire: Our accomplishments include doubling our membership base to over 110 members – ranging from traditional banks to big tech firms and nascent startups and helping to shape future government policy for the FinTech sector. We hosted a successful Global Summit in March with over 900 delegates in London to discuss the transformative power of FinTech. We launched a regional strategy across the UK that will unite all of the nation’s FinTech hubs. We created strategic partnerships with College Business School and UCL universities in London to provide talented interns the chance to work in member FinTech firms. We have also launched a talent partnership with Open University, where our members have contributed to the first FinTech curriculum which will be available to graduates and career changers as a 50 hour self study course. We have spread the word about our organisation around the globe too with trade missions in America and Asia. 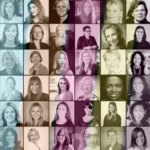 We also published a list of the most influential women in FinTech, which highlights the work of the amazing women in our sector. Midori: What can innovation centers such as the UK and Silicon Valley learn from each other? Claire: Silicon Valley can learn from the UK sector’s close relationship with government to help drive FinTech forward and to support the regulatory conditions that make it easier for FinTech to grow and thrive in Britain. Talent is much easier to come by in the UK than Silicon Valley as well, which is great for FinTech startups. Tax breaks and amazing access to top universities and world’s biggest financial center is also a draw. The UK could learn from Silicon Valley’s amazing community spirit- there’s a lot of willingness for firms to help one another. There’s also a great culture of investment- the Valley is willing to take risks and invest in start ups more readily than investors in the UK where there is still a culture of shame associated with failure. Hopefully that will change as we become a more global sector and have the benefit of an international perspective on investment. Midori: How would you describe your role as a London Technology Ambassador in Mayor Boris Johnson’s London Tech Ambassadors Group? Claire: My role as London Technology Ambassador is to help promote our capital as the epicentre for innovation – especially for FinTech, where we are now the global leader. I travel the world spreading the gospel to help encourage investment and to attract talent to our capital city and ensure London remains as the go-to-place to set up, build and grow a FinTech company. Midori: You’ve been described as a serial entrepreneur. What are some of the other areas you’d like to venture into? Claire: Beyond Innovate Finance I am working with Entiq to deliver a smart cities future. We recently launched Cognicity, a new initiative to enable Canary Wharf Group to play a leading role in the development of world-class new smart cities technologies. Cognicity comprises six challenges that are taken up by start ups selected to participate in the programmes. The winner of each Challenge is awarded £50,000 and given the opportunity to develop and pilot their technologies within the Canary Wharf Group Estate. 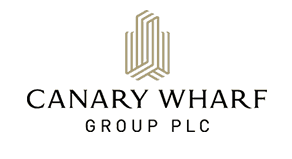 Canary Wharf Group is then be able to identify and buy solutions from these smart cities and IOT (internet of things) innovators – from start-ups to major corporations. Midori: How can we address the gender gap in the investment management industry to find gender balance in senior leadership positions? Claire: At Innovate Finance we believe that a critical differentiator for successful firms is to their ability to find, attract and retain the best talent- and that includes women. This is why we’re connecting with academic institutions to help members achieve their goals through providing access to talent- while promoting opportunities in the most innovative firms in the sector to the next generation of business leaders. So how we get women to even consider FinTech as a university study option? Well, in the UK there are some initiatives in place for girls in the UK to encourage them to consider a career in technology such as Code First Girls, which teaches girls to code and Tech Future Girls, an out-of-the-box-after-school club that has been specifically designed to encourage girls to stay engaged in IT. Since 2005 the programme has trained up 150,000 girls in the UK, which is a great achievement. Girls need to know that there’a future for them in FinTech so they have the qualifications to get the jobs they want. Once in the work force, the industry can do a lot to retain female talent through mentorship programmes and flexible working hours. Midori: What are some of the “bright spots” in the efforts toward more equal gender representation at all career levels? 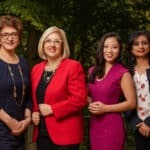 What are your thoughts on women in finance? Claire: There’s a few good business case examples that are helping women -especially in the FinTech sector. Here at Innovate finance we support flexible working for staff and we have a good ratio of women to men that are happy with this set up. Many Innovate Finance members have also changed the traditional male culture of technology and appointed senior women in key roles for their startups and financial firms. Companies such as Santander, Silicon Valley Bank, Monitise, Prophis Technologies, Remitia and Lloyds Bank for example have women in VP or CEO roles. We are also seeing more women setting up their own FinTech companies such as Julia Grove, founder of the Trillion Fund and Clare Flynn Levy, founder of Essential Analytics. The Royal Bank of Scotland has introduced a Focused Women’s Network as part of its commitment to promote gender equality in the workplace and companies like Credit Suisse in London have kick started ‘Returnship’ programmes for women taking career breaks. It is the first UK example of a concept that has been slowly developing in the US over the last six years. Companies like Vodafone have also launched a six month Returning to Technology programme which is open to all people returning to technology, including career break returning women who took time off to have children. There’s some important UK government laws that are helping to advance gender equality in the workplace too. Every employee in the UK now has the right to request flexible working hours according to new legislation. Childcare vouchers for nurseries have also been popular and allowed women to be able to afford the childcare they need to go back to work. We still have a long way to go before there’s equal representation in the boardroom, but we are making progress. Midori: How do you see FinTech evolving over the next few years? Claire: There will be more innovators entering the space and greater awareness among consumers about alternative finance. We also expect to see traditional banks embracing new FinTech ideas and using them to create better services for their customers. FinTech is the future of finance. 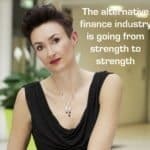 This is the first in a series of articles where Crowdfund Insider will be interviewing the many women changing the profession of finance today. In FinTech, crowdfunding and peer to peer lending, there are many female innovators leading or assisting innovative firms that are altering the process of capital formation around the globe. 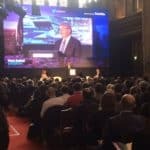 This entry was posted in Featured Headlines, Global and tagged claire cockerton, Entiq, europe, finance, fintech, innovate finance, innovation, london, silicon roundabout, uk, united kingdom, women, women changing finance. Bookmark the permalink.